The Department of Anthropology appreciates your support. A gift to the Department of Anthropology helps us attract and retain students with great academic potential, creativity, and motivation. Your gift may be used in a myriad of ways -- all critical to our mission of education and research. Your gift may support programs, scholarships, fellowships, professorships, technological innovations, research, renovations, and new facilities. No matter how large or how small, every gift makes a difference. Click here to give to the General Anthropology Fund. Several funds have been established to support specific department activities as some donors prefer to designate their gifts for a specific department purpose. We invite you to join the Friends of Anthropology, UCSB's support group dedicated to sponsoring graduate student research and education. The UCSB Department of Anthropology is one of the top programs in the country, with some of the most exceptional graduate students in the field. Our students and faculty work throughtout Latin America, Egypt and the Sudan, South Asia, and the United States. Join the Friends and help support the next generation of outstanding anthropological research at UCSB. Click here to give to the Friends of Anthropology. 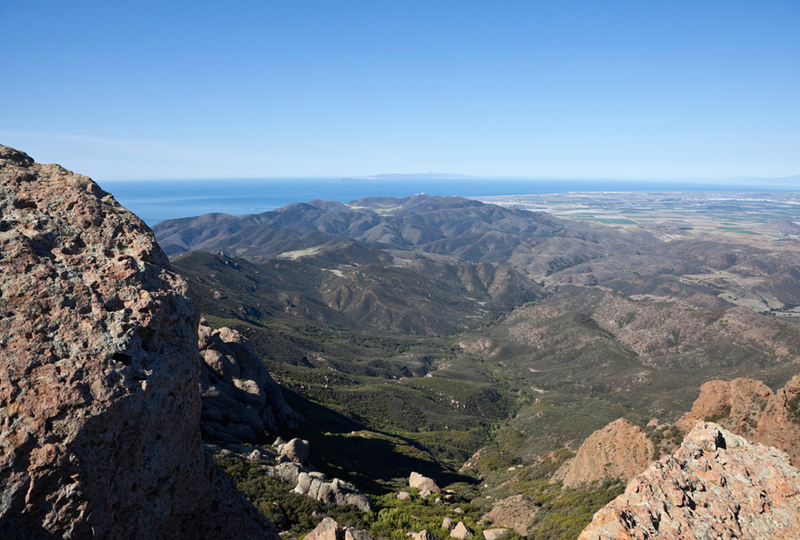 Contributions in memory of Peter Paige fund an annual award in his name celebrating Peter’s interest in the prehistory of the Santa Barbara Channel and the archaeology of Santa Cruz Island. Peter was a graduate student researching prehistoric Island Chumash fishing practices at the time of his untimely death in 2004. His focus was faunal analysis, seasonality and prehistoric maritime cultures on the Channel Islands. The fund was inaugurated in 2006 and the first award recipient was selected in 2007. To give to the Peter F. Paige Memorial Fund, please click here to reach the General Anthropology Fund and note this fund in the Comments section. 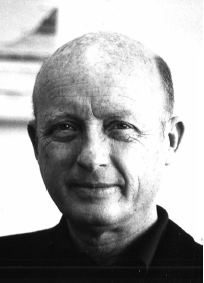 The Charles J. Erasmus fund was established by UCSB Department of Anthropology emeritus faculty in memory of the late Professor of Anthropology Charles J. Erasmus in recognition of his scholarship and service. Dr. Erasmus came to UC Santa Barbara in 1962 as the first chair of the Anthropology Department. During its early days, he directed the department’s scientific focus to areas of materialist, evolutionary, and economic development research. He devoted much of his career to understanding the conditions under which individuals commit to the public welfare and was a pioneer in peasant studies, medical anthropology, development anthropology (especially community development and anthropology’s role in foreign aid), and experimental archaeology. As a faculty member at UCSB from 1962 to 1987, he supervised and worked with many doctoral students, who found him to be an inspiring teacher. Dr. Erasmus died September 5, 2012. The primary objective of this fund is to support qualified graduate students to visit a future field site to strengthen proposals for doctoral research at that site. Awards are to be given only for research focusing on areas championed by Dr. Erasmus: materialist, evolutionary, or in the field of economic development. Click here to give to The Charles J. Erasmus Fund. The Amerindian Indigenous Peoples Health Fund at the University of California-Santa Barbara exists to help serve the health needs of indigenous populations in South America who lack access to medical care. Infectious disease remains the main cause of morbidity and mortality in much of rural South America, and donations help support initiatives to provide medical attention to those in need. We also help coordinate treatment for more complicated problems, including hernia surgeries, colposcopies (for abnormal PAP smears) to prevent cervical cancer, cataract and pterigion surgeries to help correct vision. These are done in coordination with local Bolivian NGOs and hospitals. All donations go directly to help diagnose and cure indigenous people and to develop further health awareness, as there are no overhead nor administrative costs. At present, funds help support Tsimane and Mosetene Amerindians of Bolivia. More information about the Tsimane Health and Life History Project can be found here. For any questions, please contact Dr. Michael Gurven at gurven@anth.ucsb.edu. 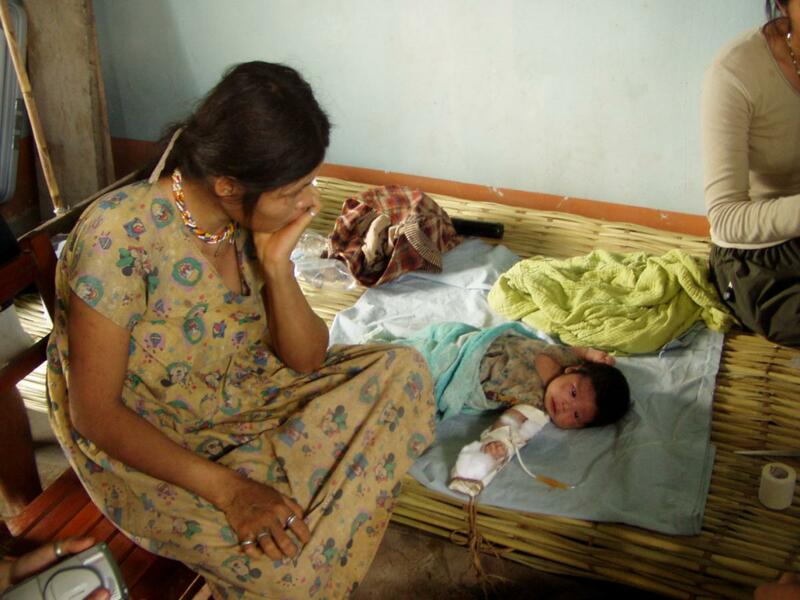 Click here to give to the Amerindian Indigenous Peoples Health Fund.